All University Park homes currently listed for sale in University Park as of 04/22/2019 are shown below. You can change the search criteria at any time by pressing the 'Change Search' button below. If you have any questions or you would like more information about any University Park homes for sale or other University Park real estate, please contact us and one of our knowledgeable University Park REALTORS® would be pleased to assist you. 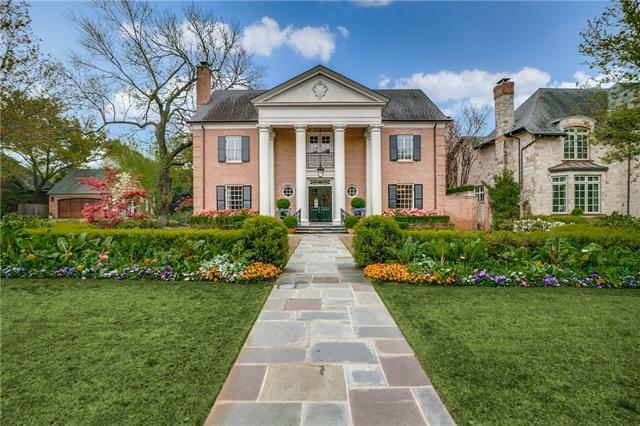 "Greek Revival manse in the 'Lower Mississippi Valley Plantation' vernacular as described by its architect Richard Drummond Davis. An important facade introduces the house and prominently positions the home in the prestigious Volk Estates. The central hall and vestibule are anchored by a commanding staircase. Living Dining Library-Den and Loggia flow from foyer. 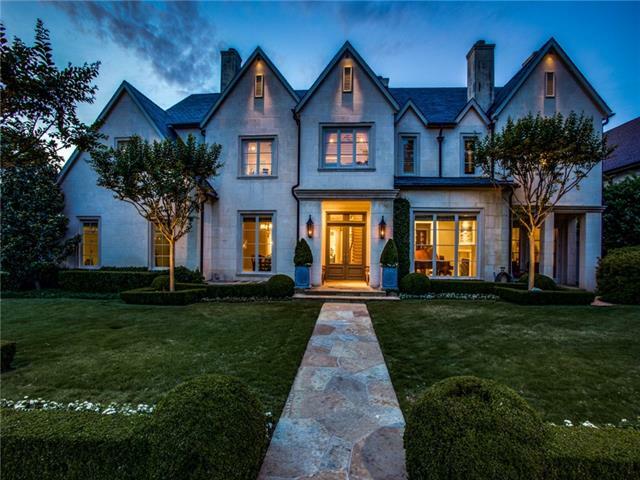 Intricate hardwood flooring, beautifully carved moldings and handsome fireplaces are hallmarks. First floor master with his and her bat"
"Create your own chapter of history in this gracious French Provincial estate ideally situated on a nearly half-acre lot with exceptional privacy, pristine views and immaculate gardens. 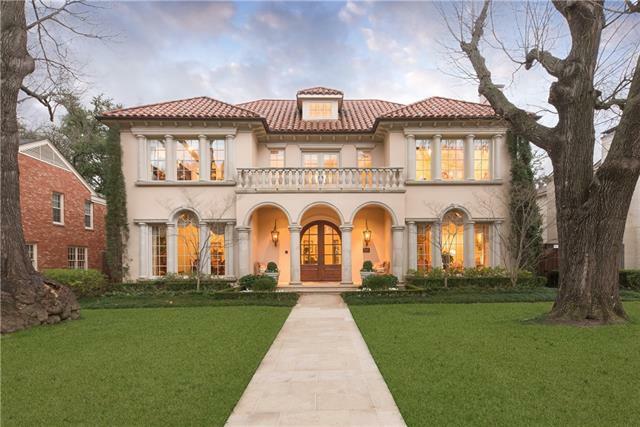 Custom designed by noted architect Richard Drummond Davis and built by James E. Shaw, this 9,209 square foot masterpiece boasts 5 oversized bedrooms, 6 spa-quality baths, climate-controlled wine cellar, private study, library, elevator and covered patio with dramatic views." "THIS ELEGANT FRENCH MANOR WITH PORTE COCHERE IS LOCATED ON AN OVERSIZED 90 x 160 CORNER LOT IN THE HEART OF UNIVERSITY PARK. THE BEAUTIFULLY DESIGNED INTERIOR IS UNIQUE, CHIC & LIGHT, YET WARM & INVITING. THE LARGE FOYER WITH INLAID STONE FLOOR & CIRCULAR STAIR OPENS TO THE FORMAL LIVING & DINING ROOMS AS WELL AS THE MAIN LIVING AREA. THE FABULOUS DOUBLE ISLAND WHITE MARBLE KITCHEN OPENS TO THE CASUAL DINING AREA & SPACIOUS FAMILY ROOM WITH WET BAR & FIREPLACE, OVERLOOKING THE OUTDOOR LIVING ARE"
"One of the best locations in University Park, close to Snider Plaza, Goar Park and minutes to Highland Park schools this beautiful custom built University Park home truly has it all. Set on .41 acres, this property features formals, a study and sunroom, a well equipped kitchen and a light filled den that overlooks the pool. 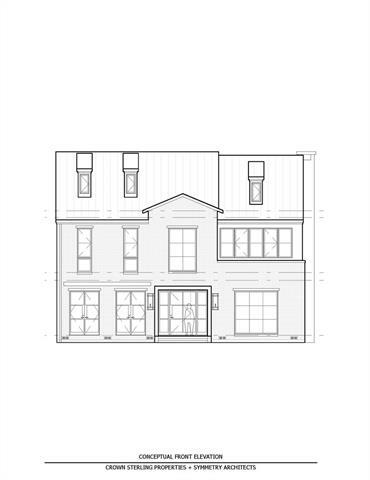 Two master suites both with fireplaces and 3 additional bedrooms and ensuite baths are on the second level. The full basement has a media room, exercise room with a steam b"
"This beautiful new construction transitional home is perfectly sited on a 75 x 137 lot at Stanhope & Amstrong Pkwy. This home offers an open floor plan with 6 bd, 6 & 2 half bths, elegant formals & a large great room off the kitchen. There is also a study, elevator, 2 game rooms & a covered outdoor veranda with fp, powder bth & outdoor kit. The kitchen includes thick slab countertops, Sub-Zero ref & freezer & Wolf gas range. The master bth features 2 vanities, 2 closets, coffee bar, soaking tu"
"Stunning 2014 construction on great University Park block. Luxury living and sophisticated entertaining in family-friendly home that exudes warmth and quality. Kitchen with Wolf, double Sub-Zero, two Miele dishwashers, warming drawers, and two islands opens to large family room. Outdoor living and cooking areas overlook sparkling pool with water features. Master with dual baths plus four beds up; third floor flex space. Elevator, geothermal HVAC, Lutron, Sonos, Ecobee, tankless water, etc." 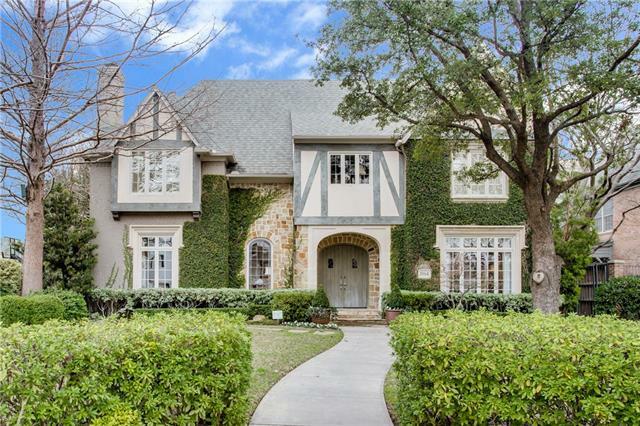 "This gorgeously warm, Tudor Revival manse in prestigious University Park has been constructed with only the finest materials. The three-story, 9,137-square-foot estate which is surrounded by an eight-foot-tall stone wall boasts seven bedrooms and 9.1 baths, four fireplaces and four bars, a wine room, a chef s dream kitchen, an elevator that stops on all three floors, a state-of-the-art sound system, and one of the largest theater rooms in the area. The home s rich details are just as imp"
"Beautiful transitional design for exquisite custom. 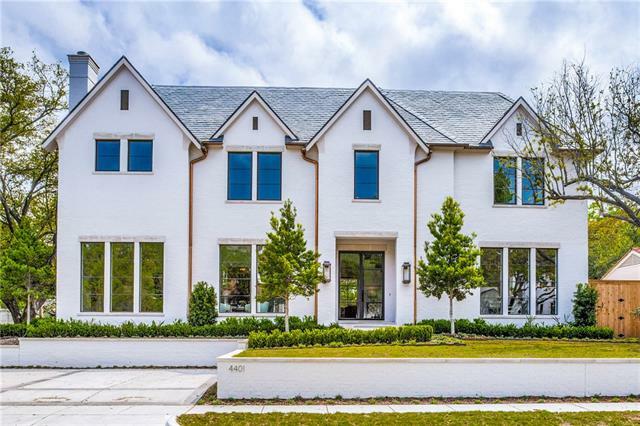 Perched near the extra wide corner of Douglas & Windsor with unique street depth in Park Cities, this home strikes of quality craftsmanship and contemporary styling. The design allows gracious living spaces with smart flow for entertaining and everyday living. Elegant master suite with gracious on suite, floating stair, wine room, oversized doors, detailed with quality finishes throughout." "Rare 140x150 lot with gorgeous landscape and a private back yard oasis! 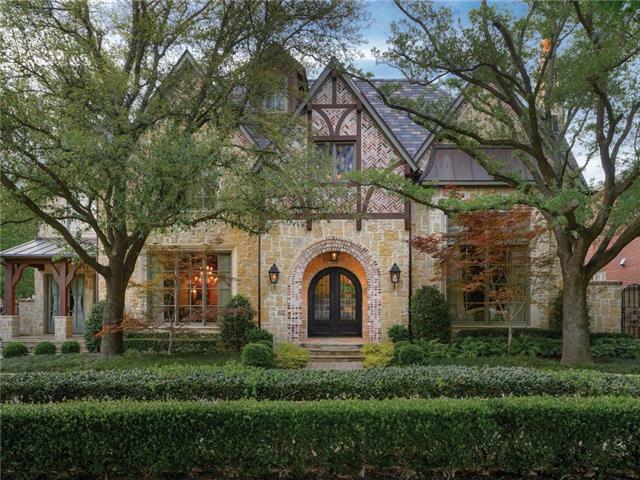 This beautiful french country home features a gourmet kitchen, spacious walk in closets, beautiful crown molding and rich hand scrapped hardwood floors. His and Her Master baths that have been updated with beautiful marble and white onyx. Over sized mudroom with great built ins and homework area. Large game room on second floor with beautiful natural light. The spacious back yard features a pool and spa with waterfall, putt"
"This home is a must-see! 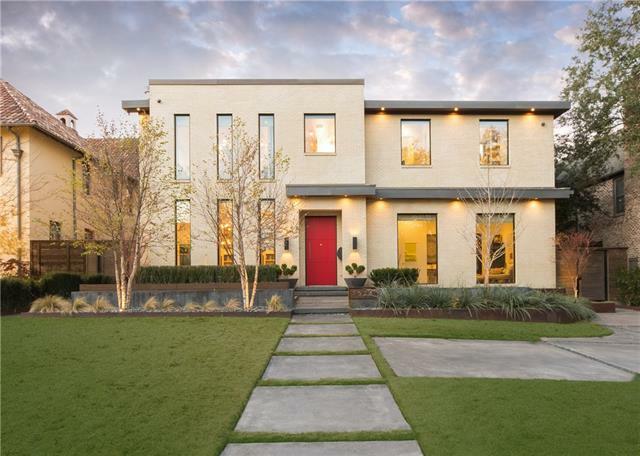 Stunning regional modern on a coveted block in the UP Fairway. 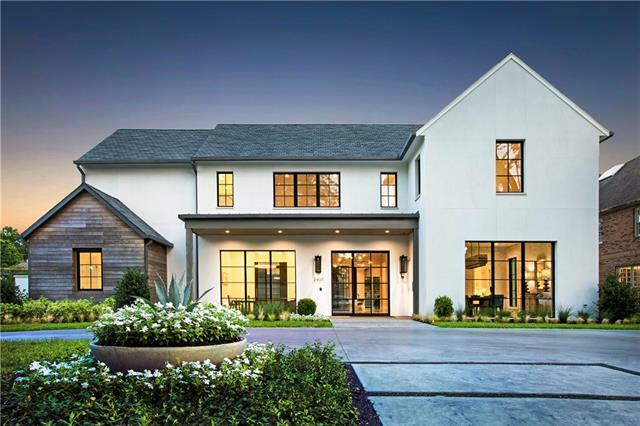 Built by Tatum Brown Custom Homes, this 5 bedroom residence sets itself apart from the predictable. High-level finish out with floor-to-ceiling steel windows and doors offering abundant natural light. Master suite features vaulted ceilings, his-her bath vanities, jetted tub & large walk-in closet. All secondary bedrooms have en-suite baths with large closet. Gourmet kitchen with SubZero and Wolf appliances op"
"An amazing new construction home built by Mark Molthan. This wonderful transitional home is equipped with top of the line appliances, plumbing fixtures and decorative lighting. Situated on a 70x150 lot, the home has an abundant amount of glass, a great home headquarters office, a beautiful master suite and a gourmet kitchen. The secondary bedrooms are all situated with en suite, high end baths and great closets. Estimated completion date is spring of 2019!" 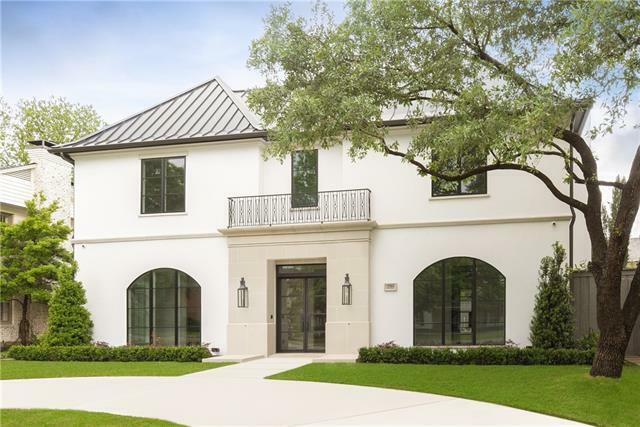 "Built in 2013 by Oxbridge Custom Homes, this architecturally significant home affords a balance of formal & casual living w stunning designer finishes throughout. Expansive marble kitchen w designer tile detail, paneled SubZero fridge & freezer, built-in Miele coffee maker, Wolf gas range-oven & dual Bosch dishwashers. Family rm w wet bar w temp controlled (370 bottle) wine rm opens to breakfast rm off kitchen & overlooks sparkling pool w spa & water feature. Light-filled master suite has a sepa"
"Impeccable new construction by Robert Elliott Homes in the heart of the fairway in University Park. Zoned for University Park Elementary in HPISD. 70 x 160 lot size. Sophisticated clean lines from the outside, in. 10 ft windows and doors with an incredible steel entry unit that gleams natural light from every angle. 1st floor guest suite with separate entry, 20 ft stackable slider from family to outdoor living area, elevator ready, Subzero Wolf appliances, vaulted ceilings, custom patterned floo"
"Stunning modern, yet warm custom home built by Robert Elliott. Located in the heart of University Park. 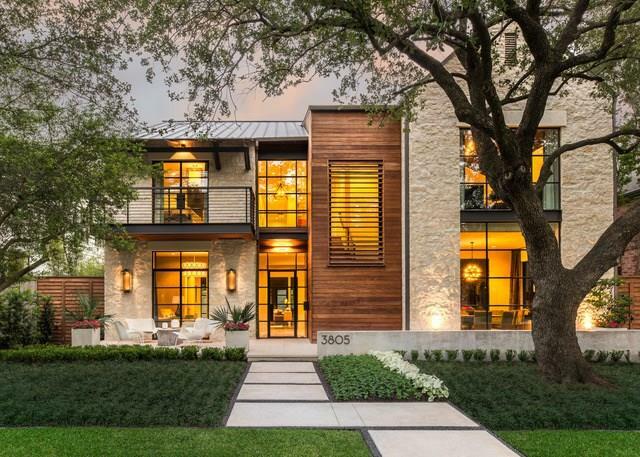 This contemporary dream home has been featured in DHome and HGTV. 6 BR, 6.2BA, study, library, 2 game rooms and more. 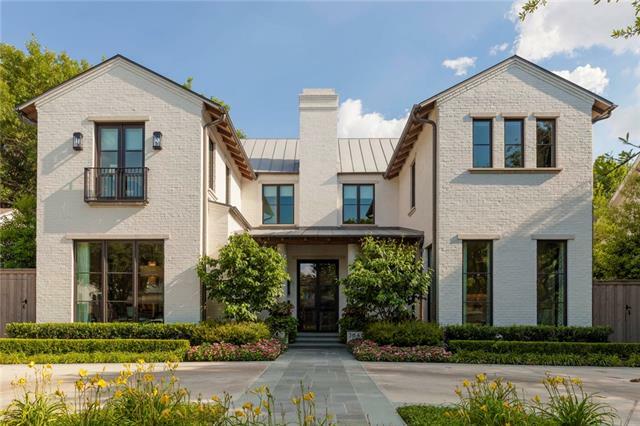 Designer finishes, Mecho Shades, walnut floors, 3 fireplaces, gourmet kitchen with top of the line appliances, including 2 built-in wine coolers, Scotsman ice-maker, and dual dishwashers. Open floor plan is perfect for today s family. Sliding doors bring the outside in with"
"Newly constructed dream home by Robert Elliott Custom Homes zoned for Bradfield elementary school in Highland Park ISD. 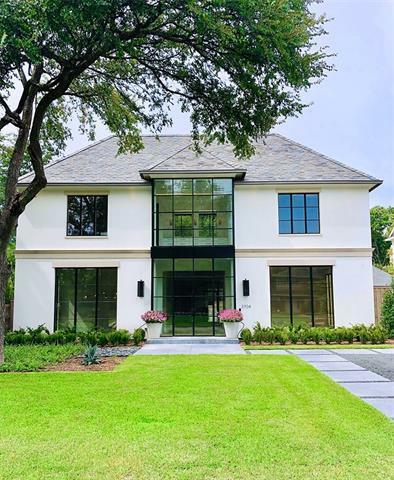 Prestigious 80 feet wide corner lot, astounding curb appeal, New Orleans A Hayes Town inspired design & finish out that is customized to perfection. Warm inviting tones with delightful combinations of traditional & modern details throughout. 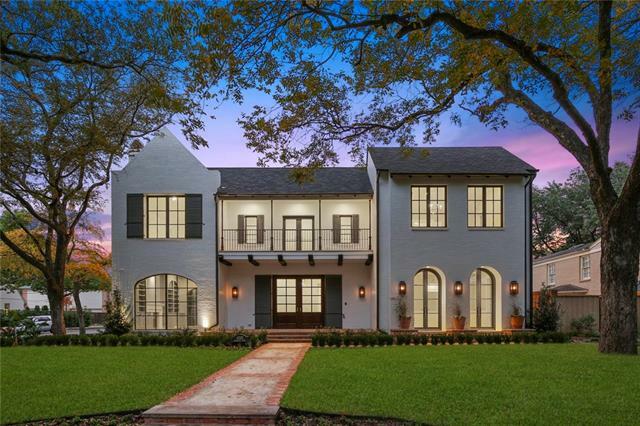 Plaster molded fireplace surrounds, intricate millwork, antique brick accents, patterned flooring, white oak cabinets, remarkable floor to"
"This is an incredible opportunity to own a completely renovated property by Chad Dorsey and More Design Group. 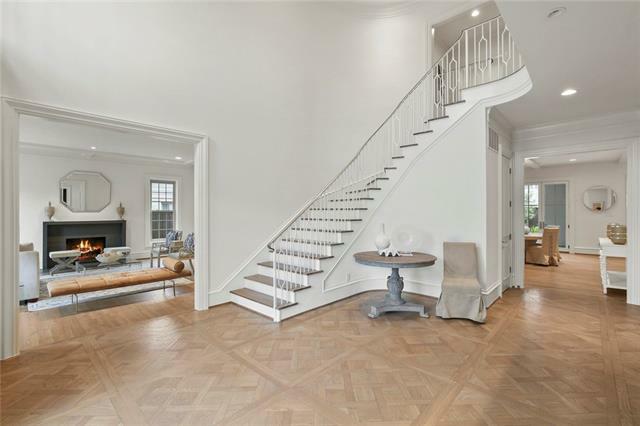 This stylish home is located on a coveted block in the University Park fairway. The home features 4 bedrooms, 4.3 bath, quarters above the garage, a pool, artificial turf backyard, screened-in patio room, and a spacious 3rd floor bonus room. Master bedroom has a fireplace and a large sitting area. Master bath has his and her closets, vanities and water closets. Downstairs offers 3"
"The new build is the perfect touch of contemporary and traditional giving it a smooth transitional feel. Having the creamy white stucco exterior perfectly blend with the clean contemporary lines of the interior and rich wooden floors. The sizable gourmet kitchen and family room are the center of entertaining including the covered back porch and fireplace. Just a few blocks away from Preston Center and only a block away from Coffee Park which is the ideal stroll around the neighborhood." 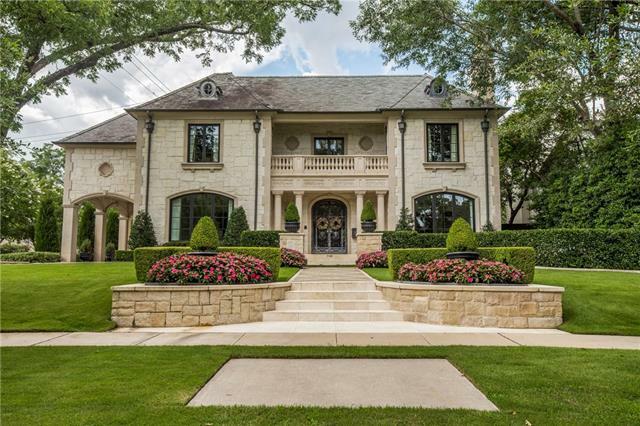 "Classic Design and details combine in estate designed by Richard Drummond Davis and built by Todd James. Set on a treed half acre lot in UP, with gorgeous pool and spa, outdoor living created by Lambert Landscaping. Lush landscaping of wisteria and roses capture the senses. Entry greets you with burled walnut floors, gracious curved staircase, flanked by grand formals, rich in detail. MASTER SUITE DOWN, overlooking the pool and grounds, with private paneled study, sitting area. Gourmet kitchen, "
"Just completed, beautiful remodeled home by Mark Molthan. Amazing open floor plan with amazing marble finishes. Sub Zero Wolf Appliances, stunning wet bar, and grand staircase. Great mudroom and downstairs laundry with custom tile. The large master suite contains top of the line finish outs, and a great view of the back yard and beautiful pool. All bedrooms have ensuite baths with custom tile throughout. The expansive third floor is equipped with a large bar and bathroom. This is a must see!" 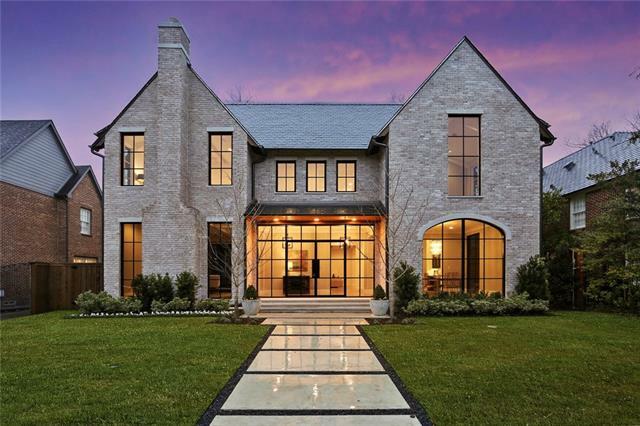 "Elegant transitional residence designed by SHM Architects and built by Tatum Brown Custom Homes. Like-new construction located on a premier block in the heart of the UP Fairway. Kitchen features Miele appliances and Wolf range, and opens to the large family room, which seamlessly connects with the stunning backyard via a wall of sliding glass doors. The backyard is complete with a pool, large covered loggia, fireplace and summer kitchen. Master oasis includes large bathroom and closet areas, as "
"Located on a premier street in University Park, this classic home is timeless. 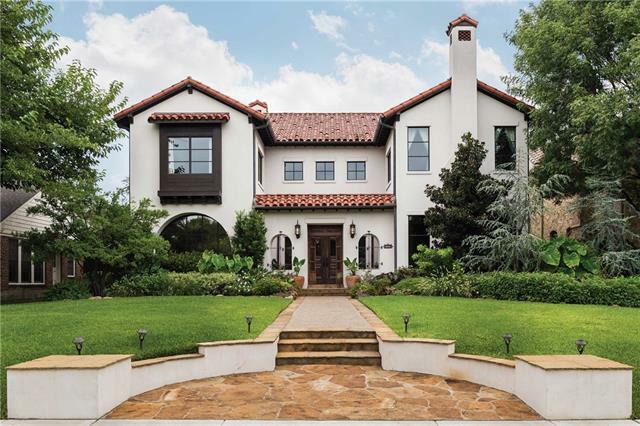 3502 Caruth Boulevard is reminiscent of a Santa Barbara home and features Spanish elements. The attention to detail is notable from the moment you step into the home. Featuring an open floor plan and spacious rooms, the flow of the home allows for grand entertaining and intimate family living. A large patio overlooking a stunning pool with water feature contributes to the lush outdoor ambiance. 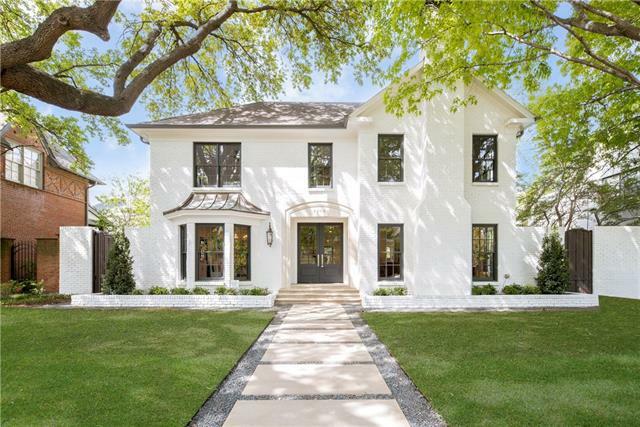 This elegant home exude"
"Unbelievable 2009 custom build in the heart of the Fairway of University Park on a Premier block of Colgate. Mediterranean style home with tile roof offering 7622 square feet, 4 beds, 5.2 baths incredible floor plan, 3 car garage and pool. 4 fireplaces, private study, formals, family room with wet bar overlooking back patio and pool, huge game room with full kitchenette, luxurious master suite with his her vanities and closets. Generous over sized secondary bedrooms. 3rd floor offers flex sp"
"Beautifully updated in 2019 transitional University Park home by Barrow Builders Group with impressive high end finishes throughout. Gourmet marble kitchen with center island opens to breakfast room and den with gas fireplace and windows that span to the floor with views of the backyard. Luxury master suite on second level with sitting area and spa like marble bath with dual vanities, separate shower-tub and large walk in closet. Additional three bedrooms (each with private updated bath), balcon"
"Perfectly situated on a corner lot, this Platinum Series Home by Mark Molthan is sure to amaze potential buyers! 3 car garage and back yard access to Caruth Park, this beautiful new construction home is one of a kind! Finished out with top of the line marble, Sub Zero Wolf appliances, beautiful hardwood floors. The home also features a guest bedroom downstairs and a fun lounge on the second floor. This is a must see home! Estimated completion date is early 2019"